CVR World Cup just announced that cycling equipment provider PowerTap will supply them with power meters & cadence sensors, and CycleOps will provide hammer direct drive trainers, sweat guards, and training mats for the Winter 2018 race season. They both will also provide additional swag items for special giveaways. Both brands are endorsed by Saris, based in Madison, Wisconsin. CVR World Cup is cycling esports on a global scale with large prize purses. Their Winter 2018 Season is awarding cyclists over $100,000 in cash and prizes, with equal prizes to men and women. Cycligent is the pioneer of Physical Esports™, the fusion of digital gaming and physical activity for broadcast around the globe. 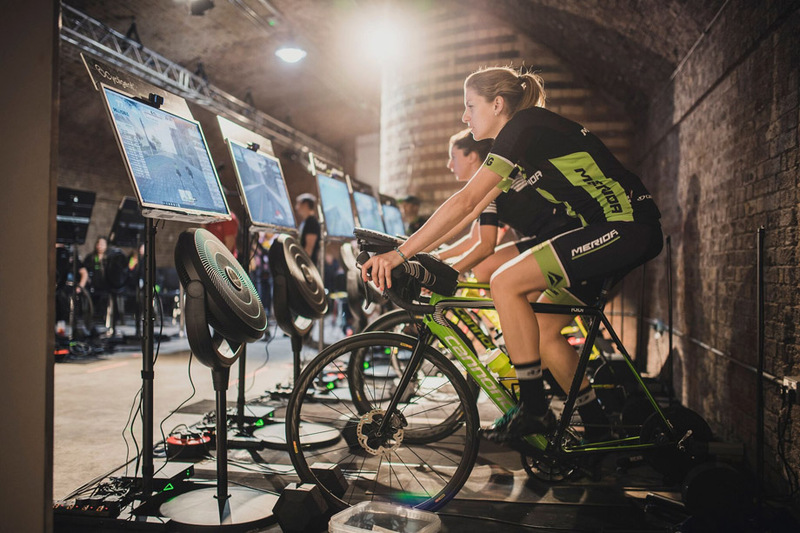 To showcase Physical Esports™, they began the CVR World Cup, where you can watch cyclists compete each week in a virtual environment (watch at cycleview.cvrworldcup.com). Every Tuesday, eight races occur at times suitable for every time zone in the world. A unique aspect of Physical Esports™ is that you not only watch avatars, but you also get to view people streaming themselves as they race. You see suffering, you see elation, and you connect with that. “The race may be virtual, but the pain is real. And it actually is exciting to watch.” – Robert Earle Howells – The Sweaty Esports Are Coming - Front page of ozy.com Jan 25, 2018. Four times a year CVR World Cup holds and streams large-scale, live events, where cyclists compete virtually, but all from the same location, using the same type of calibrated equipment. The next CVR World Cup, “The Major,” is March 24th and 25th in Los Angeles, at the StubHub Velo Center (free tickets are available at www.eventbrite.com/e/cvr-world-cup-los-angeles). Previous CVR World Cups were held in Las Vegas, London, Tucson, Roanoke, and Paris. To book Frank Garcia for an interview, or to get more information about Cycligent Physical Esports or the CVR World Cup, please call Peter Wink at 480-490-8506 or email him at [email protected]. Saris is a manufacturer of bicycle accessories committed to making their products in Madison, WI. Through their advocacy, Saris promotes healthier, happier, bike-smart communities both locally and nationally. Saris endorses four brands: Saris Car Racks, Bike Fixation Public Bike Systems and Infrastructure, PowerTap Cycling Power Meters, and CycleOps Indoor Bike Trainers. For more information, visit www.sarisbrands.com. Cycligent, Inc owns CVR World Cup. Cycligent promotes Physical Esports™. For more information regarding the CVR World Cup and Physical Esports™ visit www.cvrworldcup.com.